AMC Manufacturing operates a full-service metal stamping facility that caters to any volume stamping project, large or small. They have the capability to perform all types of stamping operations. Whether Progressive, Compound, Draw, or Deep Draw, they can ensure your parts are produced with the highest quality of care that will meet the most stringent specifications. Equipped with more than 20 presses ranging in speed up to 110 strokes per minute and a maximum bed capacity of 180” x 96”, the presses can be used with a wide variety of material types. To meet the specifications and quality that their customers expect, AMC Manufacturing provides a quality control staff equipped with state of the art tools such as a Coordinate Measuring Machine (CMM) which allows them to maintain parts consistent with the specifications by delivering an accurate, repeatable, and expeditious process for checking parts. 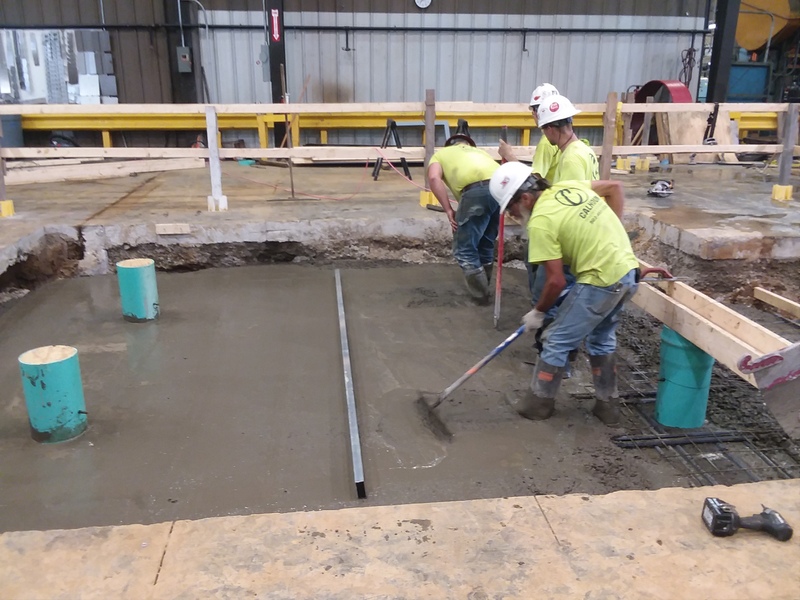 Calhoun Construction served as the General Contractor installing a new press foundation in the active plant. This included excavation for the pit, rebar, forming, and sleeve installation. In addition there was an additional pit for overflow steel coil metal that was excavated, formed, and poured. All this was accomplished in two weeks while working in and around active operations.